Books: by Title: A Buffalo Scrapbook: Gimme Jimmy! 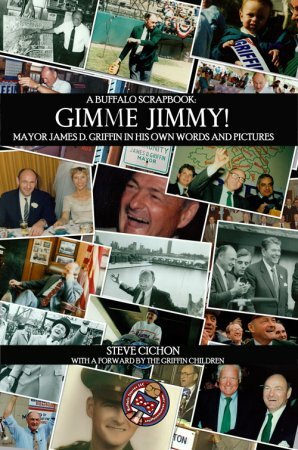 Through his unequaled 16 years in office, Jimmy Griffin was the bigger-than-life, most talked about mayor in the history of Buffalo. Author Steve Cichon and Mayor Griffin’s children have selected nearly 200 photos from the personal and mayoral archives of the Griffin family. The images are interspersed with the stories, quotes, and wisdom of James D. Griffin himself, recorded in print, audio, and video over a nearly half-century in public service.